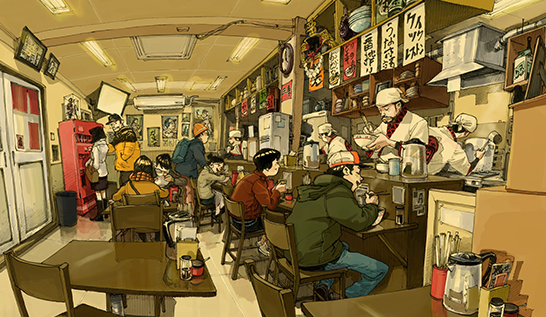 Da Re’s illustrations are created intirely digitally. His strength of colour selection is something that really stands out when looking through his portfolio. His colour palettes are very harmonious, but often exploit complimentary colours to draw the users focus. I also like when he exagerats the angles of his characters and backgrounds, adding interest and a touch of quirk. To see more of Giovanni Da Re’s work you can go to his website, and follow him on Twitter.